The British Athletics World Mountain Running Championship Trial Races incorporating the Mountain Running Senior Home International was held on the 18th June in Sedbergh, Cumbria. 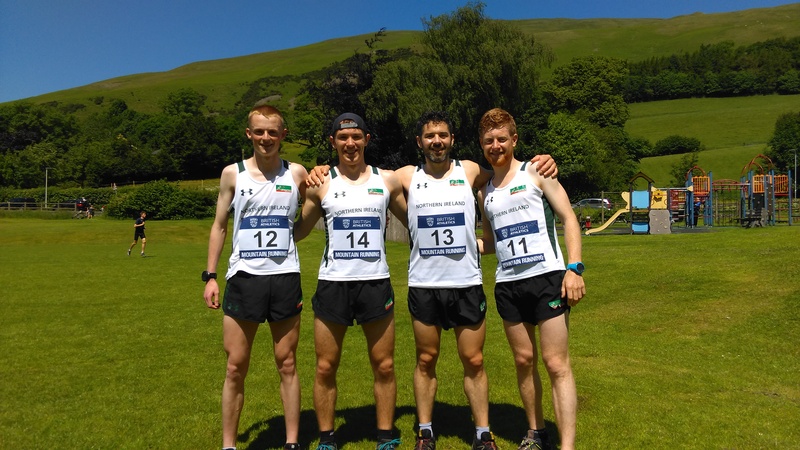 The race was held on a two lap, up and down course comprising of 12.6km and 866m ascent/descent and taking in the summits of Arant Haw and Winder mountains. Conditions on the day were challenging, with temperatures in the mid-high twenties, scorching sunshine and no shade on the course. For Northern Ireland runners more use to worrying about hypothermia and whether to wear an extra thermal under their waterproof jackets, it was a novelty for pre-race preparations to involve plastering on factor 30 sun cream and worrying about heat stroke! The course was fast and runnable, with underfoot conditions being mostly well-trodden grassy paths. Unsurprisingly given the high quality of the field, the pace was fast and furious from the start! 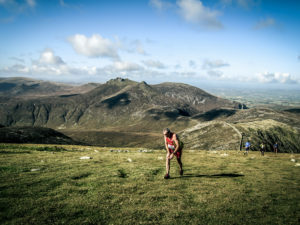 Starting on the side of Arant Haw, the race route took runners round the side of the mountain before completing an out and back loop along a wide, grassy ridge to the summit of Winder. The route then climbed to the top of Arant Haw followed by a long descent back round to the start/finish. And then doing it all again! Unusually for a Home International event, the male and female races went off together. Fifty three runners started the race but the weather conditions were to take their toll with only 46 finishers. Unfortunately, one of the retirees was Newcastle AC’s Zak Hanna. Zak had a strong first lap, running well up the field, before succumbing to the conditions. First NI man to finish was Mourne Runners Timothy Johnson, finishing in a strong 1:00:27 (18th place). He was followed by Acorns AC’s Shane Donnelly in 1:03:50 (20th place) and Newcastle AC’s David Hicks in 1:06:12 (22nd place). In the ladies race, Ballymena Runners Gillian Wasson led the NI ladies home in 1:11:51 (16th place). 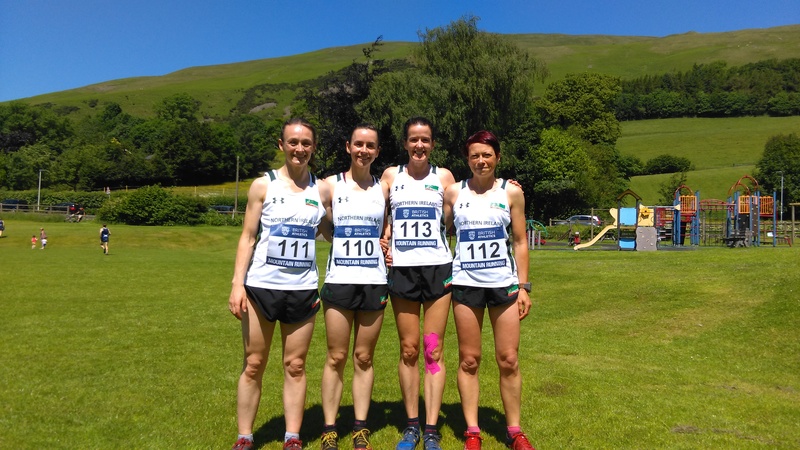 She was followed by Moire O’Sullivan in 1:16:17 (19th place), Ciara Largey in 1:16:33 (20th place) and Newcastle AC’s Paulette Thomson in 1:27:47 (22nd place).